Looking to buy our book? You ROCK. And if you're going for the extras package, (which you totally should) you'll want to know a bit more about all these killer discounts you'll be getting, yeah? We've brought together savings that cover the gamut of Fringe prep - you'll save on everything from poster design to publicity printing to advertising during the Fringe. Want a bespoke score for your show? We gotcha. - Are you student? We've got even more discounts available! Just e-mail us with the name of your school/uni society and we'll give you a code for 20% off everything below! 10% discount with Tenfold Printers! They're an amazing print service which Jon used with the Beta Males for 5 years in a row. They'll do weird and wonderful stuff (in 2013 they printed our 8-page comic), and they're friendly and reliable. We negotiated a discount with them because we think they're the best. An Edinburgh reviewing body with a PageRank of 4, Fringe Review's site gets over 120,000 unique views a year. They're well respected, because they do good work. Advertise your show online via their site to increase your exposure during the Fringe. Film, TV & theatre composer Jonny Sims is a good friend of ours, and conveniently an incredible composer. He's worked on mainstream BBC shows such as Merlin and Atlantis as well as bespoke theatrical projects - most notably with the award-winning company Belt Up. Looking for an incredibly professional score for your show? Get in touch now - there's only so many shows he'll be able to score. 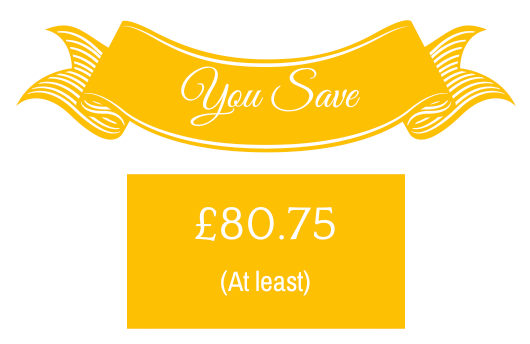 Amount saved: Incalculable - We're not being hyperbolic here; it really is a case-by-case basis. Whatever the rate (it depends how much music your show needs), you'll save 40%. Very conservatively, you'll save £40. If your current promotional images are crappy and your showreel lacklustre, we've got you covered. 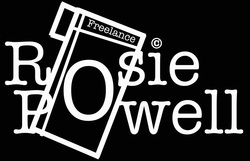 Freelance Videographer/Photographer Rosie Powell specialises in live events, performance documentation and providing promotional video content for new and established clients. She has a Performance and Visual Art background, with a strong involvement in music, and works with a variety of theatre companies, performers and musicians (and those inbetween). She loves being thrown into the deep end... unless holding her camera at the time. Like our book design? Thanks, us too! Michelle Allen was the creator, and we can attest to her excellence and easiness-to-work-with (it's a thing, alright). We've negotiated a discount with her to design your Fringe poster/flyer, which as you'll know, is a super-crucial part of your Fringe publicity, and your show in general. Amount saved: £15 - again, this is conservative (and dependent on the complexity of the project. Could be considerably more). Pretty sweet, right? If you want these discounts, along with more extras (I know, right?!? ), including a budget calculator, a list of Twitter influencers and the audiobook of Cracking The Fringe (read by us and the contributors) as WELL as a PDF of the book itself, click over to your right! Finally, remember: if you're not satisfied with the product, drop us a line and we'll fully refund you. You get to keep the extras. What's that? Just after the book? Really?! After all that. *sigh* Over here.